The green energy barons have had a good run in the Age of Obama, but Capitol Hill conservatives are mounting their first serious challenge to these charlatans in the new Congress with the PTC Elimination Act filed by Rep. Kenny E. Marchant (R.-Texas). “If we want to build a healthier American economy, Congress must get rid of the dead weight in the tax code that is limiting our nation’s potential. 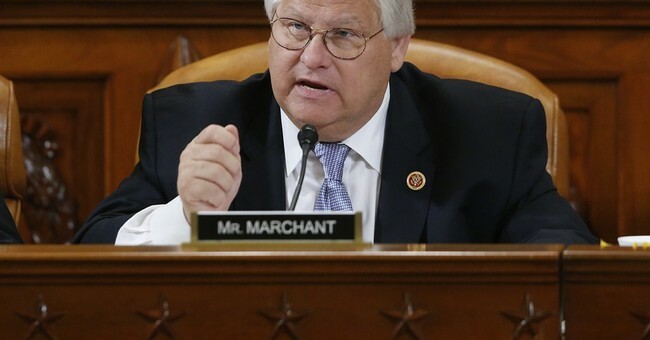 That’s why I have introduced legislation to eliminate the production tax credit,” Marchant said in his April 22 statement. The Texas congressman is taking a reasoned approach, trying to wean the wind power off over time. “The fully mature wind industry should not be spoon-fed by taxpayers any longer. Even the industry’s top lobbying organization admits wind is a mainstream part of the market and has publicly supported a future phase-out of the PTC,” he said. Others in the wind power trade want their government dole made permanent, like a feudal right. Supporters of wind power feudalism have a friend in President Barack Obama and the Republican leadership, which makes it significant that conservatives are stepping up at all. The last session of Congress was not a good one for House conservatives. By the time, former majority leader Eric Cantor lost his June primary to a libertarian college professor, the House GOP leadership was already forming a parliamentary coalition with House Democrats to pass the president's agenda. When time came to pass the Dec. 11 Cromnibus funding bill, rather than deal with conservatives, or wait for the Republicans to take over the Senate in three weeks, Speaker John A. Boehner (R.-Ohio) partnered with House Minority Leader Nancy Pelosi (D.-Calif.) to get the job done. As 67 Republicans voted against the Cromnibus bill, Pelosi lent Boehner 57 Democrats to pass the bill 219 to 206. Among the goodies the Republican leadership tucked in the Dec. 11 Cromnibus federal funding bill was the extension of the wind production tax credit through the end of calendar year 2014. The credits had expired at the end of 2013. If the Republicans had not passed the Wind PTC for 2014, the wind power companies would have been exposed to the realities of the free market—a place wind power can never survive. Wind power is supposed to be simple. The wind blows, the turbine spins and electricity spits out clean and safe. Actually, it is not simple at all. Adam Smith tells us that it is because of the baker’s greed that we have bread. The problem with wind is that without a handout from the Treasury, there are no greedy bakers willing to invest and operate wind turbines. Instead of helping an infant industry, the tax breaks for wind act as a honey pot tricking people and capital into a rat hole—keeping them away from real enterprises. Of course, no one knows more about interpreting the wind than a politician. Capitol Hill conservatives have a chance to reclaim the momentum of the 2014 campaign that gave the Republicans control of both houses of Congress. If conservatives unite to wipe the wind production tax credit off the books, we will know if 2014 campaign rhetoric was a call to action or just bags of wind.